The St. Louis, MO-IL metropolitan statistical area is located on the Mississippi River, and takes up a total of 16 counties in southern Illinois and northern Missouri. The greater St. Louis metro area is a thriving port city of of the Mississippi river. Although the city of St. Louis' population has slowly gone down over recent years, the suburbs and surrounding counties have steadily grown making the metro area increase in size over the past five years. 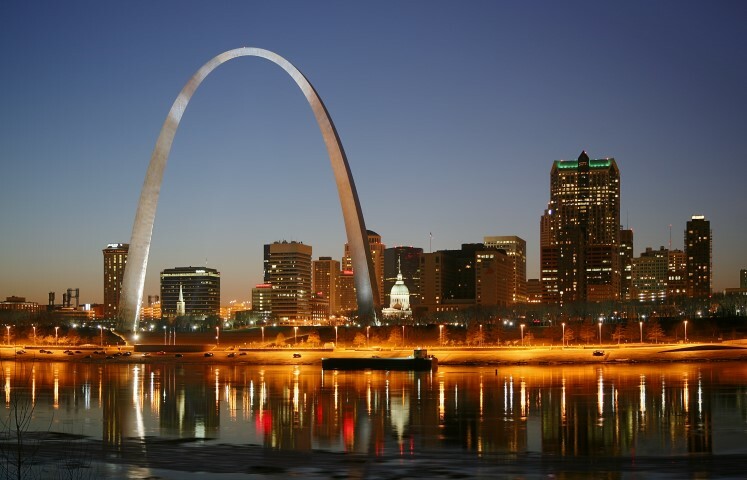 It is estimated that around 8.95% of the population of St. Louis speak a language other than English at home. St. Louis is one of the country's leading cities in the development medical & plant biosciences. With more than 27,000 refugees from Bosnia, St. Louis has the largest Bosnian population in the United States, and the largest population outside of their homeland. Approximately 87% of the Bosnian refugees in St. Louis are Muslim. The Indian population in St. Louis grew an estimated 81% between 2000 and 2012. St. Louis seeks to have the fastest growing immigrant population in the country. The greater St. Louis metropolitan area is home to nine Fortune 500 companies, as well as an advanced medical industry. This attracts many educated immigrants looking for jobs in these fields. The average quality of living in St. Louis is also very high compared to most large metro areas. These facts combined with St. Louis' push to make the city more immigrant friendly, and to bring in more immigrants each year, makes St. Louis a focal city for immigration and diversity. The city of St. Louis has a rather large European, Latin American, and Asian ethnic make up. Throughout the history of the city, the European immigrants were primarily from Eastern European countries such as Italy, France, and Germany. However, there has been a recent influx of Bosnian refugees into the greater St. Louis area. Now the Bosnian people are one the largest people groups in the city, and St. Louis boasts the largest Bosnian population outside of their home country. The Asian population has also skyrocketed in recent years. Due to the city's advanced medical and bioscience industries, many educated immigrants from south and east Asian countries such as China, Korea, and India, have been arriving in the city looking for jobs within these fields. If the immigration trends continue in this fashion, St. Louis could soon have one of the largest percentages of Asian population in the country. St. Louis's New Immigrants- A good article of the changing landscape of immigration in St. Louis. St. Louis Mosaic Project- Information on the project that seeks to attract immigrants to the greater St. Louis area. St. Louis Ethnic Restaurants- A good list of Ethnic dining establishments in the greater St. Louis area.